Boy & Bear | Do You Hear The Music? Been a bit since I put together a playlist so here’s a extended one for June. Hope you find some good tunes to rock out to. First and foremost, this stuff is hard. The amount of music that is released each year and narrowing it down to 50 is damn tough but I have to give Josh Johnson at PASTE Magazine much credit for his solid lists of 50 Best Albums and 50 Best Songs of 2011. There are definitely more than less bands/artists on his lists I have been jamming out to heavily over the past year. Again, I love this list, tons of great music but a couple names I didn’t see that personally I think should have been included, GROUPLOVE, Girls, Justice, Allen Stone, SuperHeavy, NewVillager and Boy & Bear to name a few. What’s missing that you fell in love with over the last year? Sunday, Aug. 7 – BMI Stage, 5:00 p.m. Boy & Bear, I can’t get enough of this band. Beyond stoked to see the kids from Down Under bring it in front of a huge crowd in Chicago. I wrote about them a couple weeks ago and featured their single “Feeding Line” off their upcoming debut album Moon Fire which get this, drops August 5 (August 9 in the states) when Lollapalooza begins. How’s that for a way to celebrate! I swear there seems to be more and more great music coming out of Australia and Boy & Bear are the latest such group. After putting out a rocking EP, Emperor Antarctica, and spending some time touring with Mumford & Sons, the five-piece folk group are getting set to release their first full length record, Moon Fire next month. If the more upbeat, “Feeding Line” is any indication, this could shoot right up as one of the top albums of 2011. I haven’t heard the CD but from this single and their previous EP, these fellas have a bright future ahead of themselves. 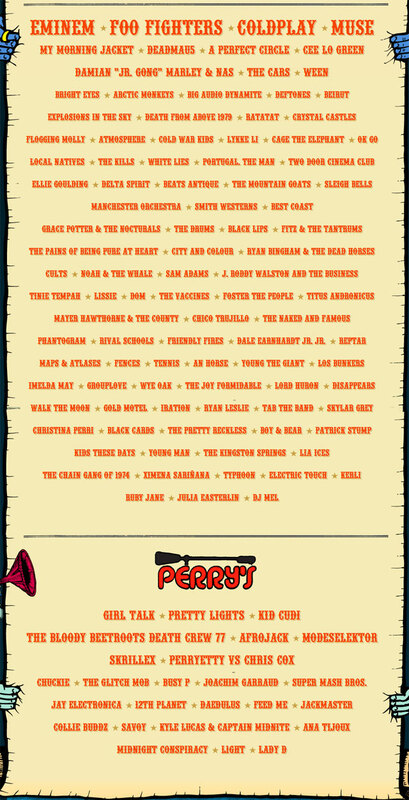 Lucky for us in the States, they are playing Lollapalooza in a couple weeks (followed by two NYC shows)! Give a listen and judge for yourself. And if at first listen you start thinking it sounds a little Brandon Flowers/The Killers-ish, you’re not alone.